With so many models and brands available, choosing a new machine can get confusing, but that's what we're here for. It's best to come in and try them out, but here are a few things to consider. Threading: It's not fun to get a magnifying glass out every time you thread your machine. That's why nearly every machine manufactured today comes with a built in needle threader. But how easy is it to operate?Some thread with the touch of a button, others take 2 hands and lots of practice. Lighting: LED lights are standard on most quality machines but make sure your machine has them. They are cool to the touch and rarely need to be replaced. Ease of use: This really comes down to personal preference. Generally with the help of our free guide classes you'll soon be feeling comfortable with your new machine. 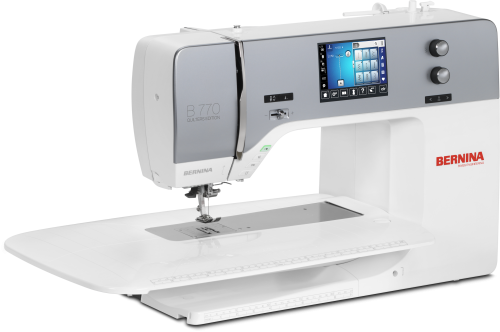 Features: Your machine needs to have the features that your type of sewing requires. 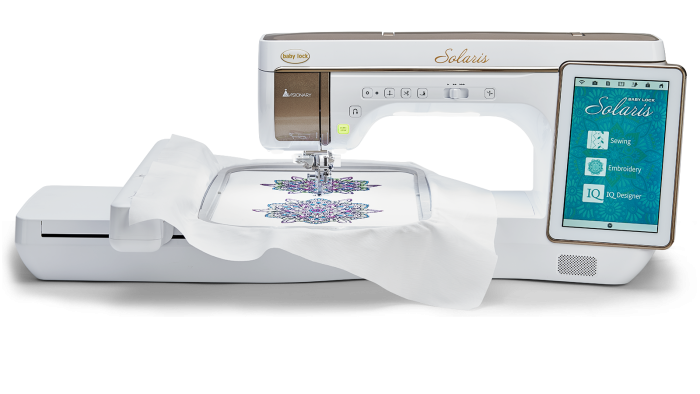 The top-of-the line machines will excel in every area (sewing, quilting & embroidery) where other models are designed as a machine for quilting, embroidery, etc. Baby Lock for embroidery and sewing. Baby Lock also has a fantastic line of easy to use entry level machines for those new to sewing. Clicking on this machine will take you to Baby Lock's home page. BERNINA for quilting, heavy sewing and garment sewing. BERNINA's selection of high quality presser feet is unmatched by any other brand of sewing machine. Clicking on this machine will take you to BERNINA's website.